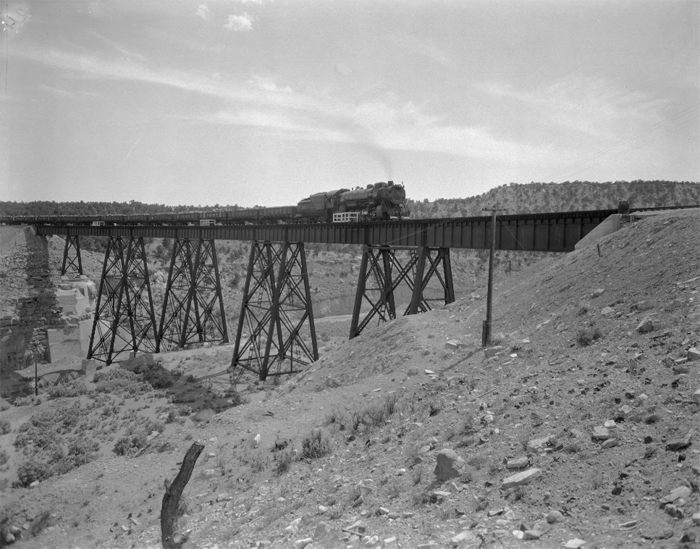 Utah Railroad at Gordon Creek, Utah. Though coal was discovered in the area in 1908 where the mining camp of National, Utah would be established, a town wasn’t developed until the National Coal Company began operations in the early 1920s, naming the settlement after the company. Located along upper Gordon Creek, mine officials’ houses and buildings were constructed of red brick. 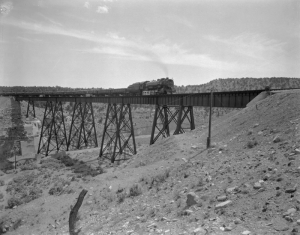 In 1921, the National Coal Company and the Gordon Creek Coal Company began constructing a line from the Utah Railroad in Helper to the Gordon Creek mining operations. These operations were comprised of the three towns — National, Consumers, and Sweet. The three mining camps shared the National post office and school house and Consumer’s hospital and amusement hall. Each camp had its own store and well. 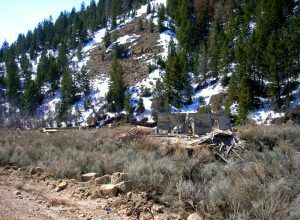 Blockhouses were built in 1930 for mine officials. The company homes and large apartment houses were the only dwellings with indoor plumbing. In the early 1930s, the three camps formed a medical association which was administered by a committee comprised of company and union personnel. The association charged $1.50 per month for a man with a family and $1 per month for a single man. These charges were automatically taken out of the miners’ wages to pay for the company doctor, nurse, medical bills, office expenses, and medicine. Surgical items were usually extra. The National Coal Company discontinued its operations in July 1938 but by the end of the year, was sold under foreclosure. An old building in the vicinity of National, Utah by Kathy Weiser-Alexander. In early 1940, the tipple, machinery, railroad, and anything else of value was sold to the highest bidder. Though mining operations were continued once again by the new owner of the property, they were short-lived and the town soon died permanently. As active mining continues in the area, there is little left of these three old mining camps, though a few foundations and crumbling buildings can still be spied along Gordon Creek. From Helper, head south on US-191 for about two miles to Consumers Road. Travel west for about nine miles to Coal City. The old mining camps of Sweet, Consumers, and National are about two miles further west.